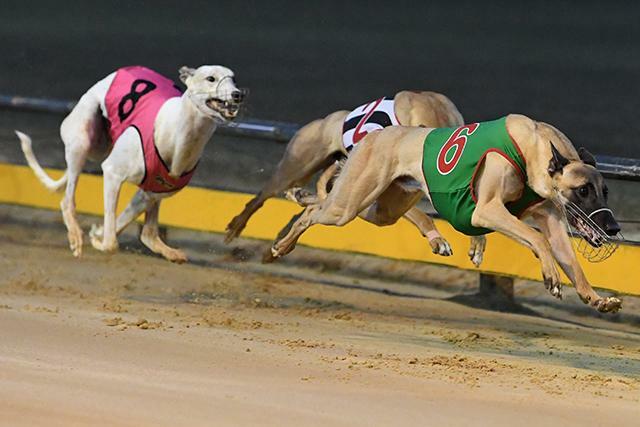 The powerful Dailly/Wheeler partnership returned to the spotlight on Saturday night when Mossimo Bale followed in the footsteps of his illustrious sire Fernando Bale in the Group 2 Casey Steel Cranbourne Cup Final (520m). 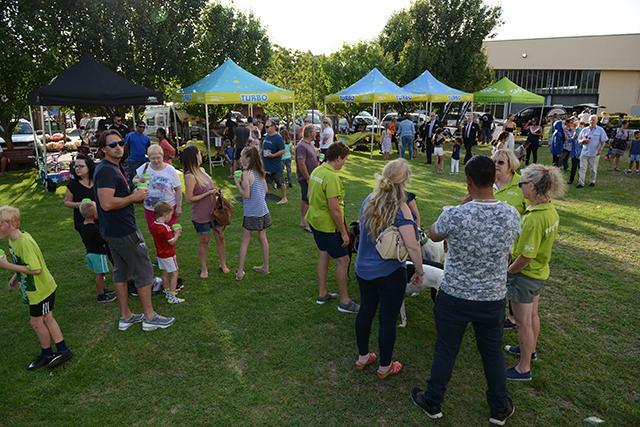 We haven’t had as many group winners lately compared to a couple of years ago, so this is a really nice feeling, and it’s even more special because he’s a son of Fernando Bale,” Andrea Dailly said. The complexion of the $47,000 to-the-winner Cranbourne Cup changed dramatically with the scratching of superstar Up Hill Jill, which saw Traralgon Cup hero Poke The Bear, another son of Fernando Bale, trained by Seona Thompson, start $2.40 favourite from box eight. 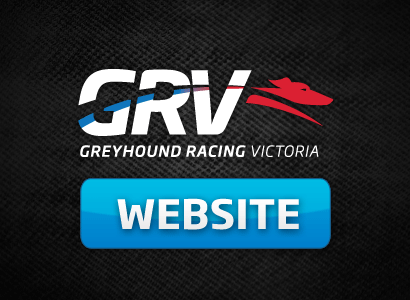 Kate Gorman’s Monster Fish, runner-up to Poke The Bear in the Traralgon Cup and then again in the Cranbourne heats, was the $4.40 second elect from box two, while Mossimo Bale was an $11.10 outsider from box six after a 30.26sec heat victory at his Cranbourne debut. 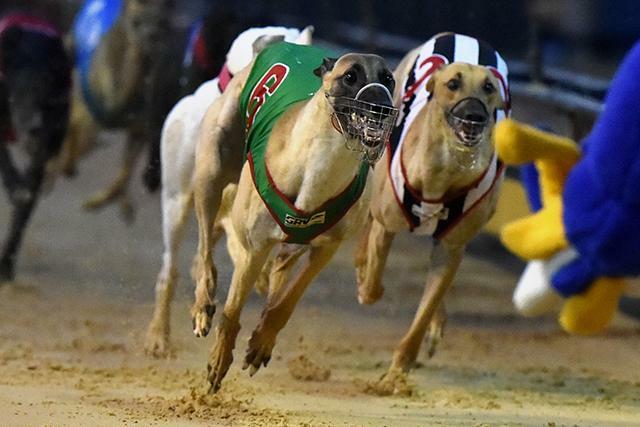 Striving to go one better than at Traralgon, Monster Fish was best to begin and led Mossimo Bale rounding the first turn, while punter’s fancy Poke The Bear was awkwardly positioned, trapped wide outside reserve Jesaulenko. 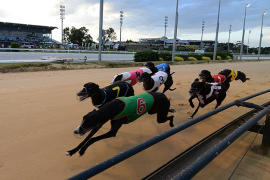 Monster Fish and Mossimo Bale broke clear down the back and Mossimo Bale wore down the gallant Monster Fish in the home straight to score by 1.41 lengths in 30.12sec, at an impressive 14 from 30 strike rate, with a luckless Poke The Bear rattling home to finish third. 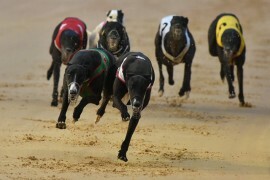 “He isn’t in the same league as Fernando Bale was but he’s a very good dog, and when he settled second behind Monster Fish I was just hoping he’d be strong enough to run him down, and he was,” Dailly said. 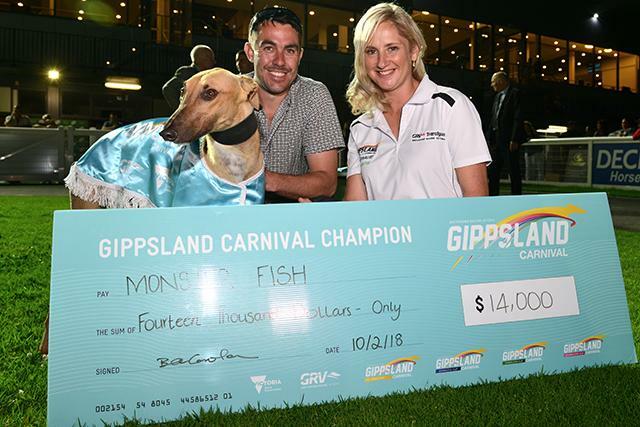 While young trainer Kate Gorman was frustratingly denied a breakthrough Group success with Monster Fish for the second time in succession, she received $14,000 consolation as a result of Monster Fish being crowned the Gippsland Carnival Champion. 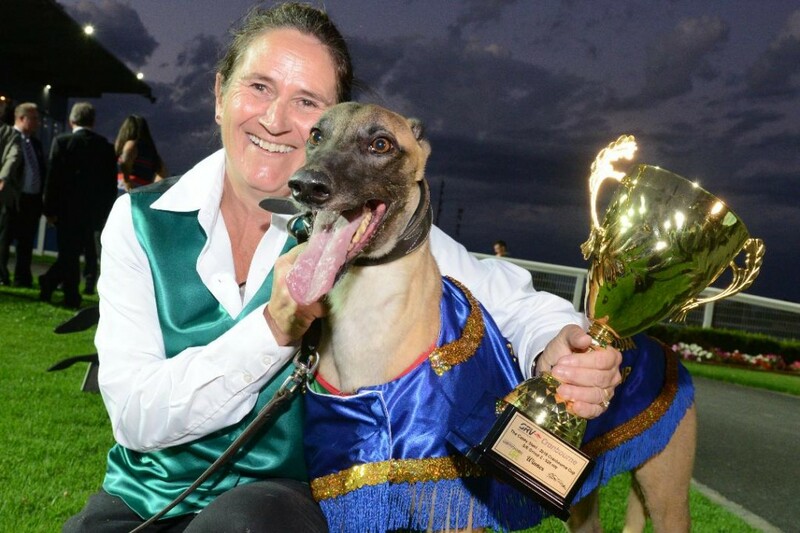 It wasn’t all bad news for Poke The Bear’s trainer Seona Thompson either, as earlier in the night $1.20 favourite Azkaban took out the $10,000 to-the-winner Backmans Supplies Victoria Cup over 699m, while Big Bubbles, prepared by John Martinovic, claimed the $5000 winner’s purse in The Van Echteld over 311m. Mossimo Bale overtakes Monster Fish in the home straight with Poke The Bear in third position. Mossimo Bale crosses the finish line almost 1.5 lengths clear. Cranbourne Cup runner-up Monster Fish with Kate and Matt Gorman after being officially crowned the 2017-18 Gippsland Carnival champion. 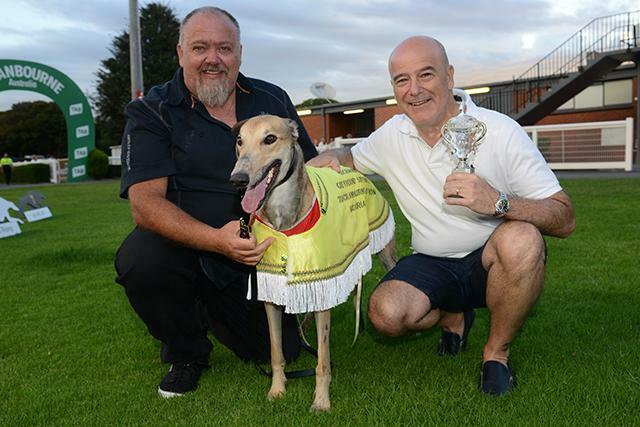 Backmans Suppies Victoria Cup winner Azkaban with Darren Puleio and part-owner Bill Buccilli. 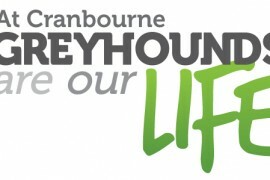 Local families attended the Cranbourne Cup in huge numbers as they have throughout the Gippsland Carnival.